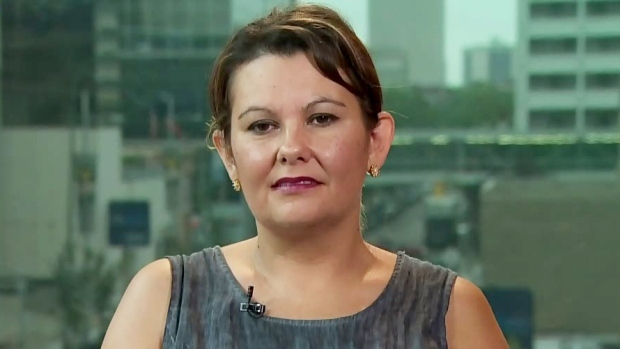 WINNIPEG - The children's advocate for Manitoba First Nations says some child-welfare agencies are breaking the law and discriminating against indigenous family members. Cora Morgan says the agencies are ignoring capable relatives who could care for apprehended children and instead choose to place them in a stranger's care. Morgan says a mother in labour at a hospital last week called her because Child and Family Services was waiting to take her baby boy. The parents are struggling with addiction and are enrolled in treatment. A great-aunt - who is already an approved foster parent - was ready to take the baby, but he was placed somewhere else, Morgan says. "It's devastating enough to have your children taken ... (but) there was hope for that family. They could live with it a bit better knowing that a family member was caring for their child," the advocate said Tuesday. "A lot of parents don't even meet the foster parents where their children are placed." The law requires agencies that apprehend children to give priority to family members, but Morgan said that isn't happening. She said one woman was told by social workers that there was no one suitable on her reserve to foster her child. They said the reserve "was no place for children." The NDP government recently outlined a plan to formalize the practice of customary care in which a child at risk of apprehension is placed with a family member in their community. There are no repercussions for agencies who ignore the law and the principles of customary care, Morgan said. "There is nothing that reinforces that in any way. There is no way an agency is held accountable. There should be checks and balances in place, especially in the case of newborn babies." Manitoba has one of the highest child apprehension rates in the country and officials seize an average of one newborn baby a day. The province has more than 10,000 kids in care. The vast majority are indigenous. The province's child-welfare system has come under sharp criticism for years, sometimes for being too quick to apprehend kids or for repeatedly returning them to abusive parents. Family Services Minister Kerri Irvin-Ross said the government can't second-guess decisions made by front-line workers. "An apprehension is a last resort," she said. "We know keeping a child within their family unit, as well as keeping them with their community, will have a better outcome. That has to be our priority." Irvin-Ross couldn't say what, if anything, the government can do to ensure child-welfare groups comply with the law. It's up to individual agencies to properly assess a family's situation, she said. Opposition critic Ian Wishart said that approach is an abdication of responsibility. His office often hears about children being placed in foster homes when there are other options, he said. With so many children in care, Wishart said, it's incumbent upon Irvin-Ross to ensure the law is being followed. "She's in charge," he said. "She sets the policy guidelines for these workers. It's a lack of leadership issue."